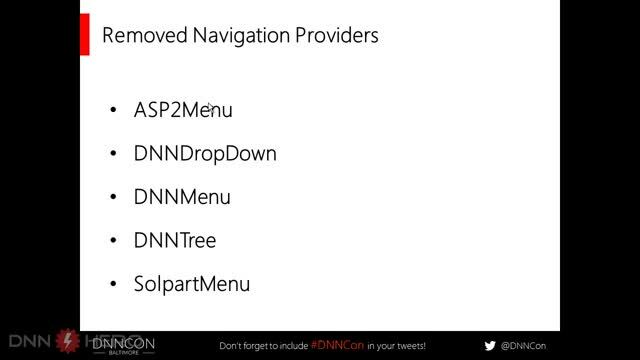 " This video contains: Overview of the basic theme How to switch from the DNN7 default.css to DNN8 default.css Why switch default.css files? Accessing the Chrome Developer Tools ... "
" This video contains: Choosing the perfect header font The importance of the perfect header font Font Readability How to implement a web font Choosing the perfect body font Ho... "
" This video contains: Setting the base font size Optimizing for mobile screens Line height and spacing for readability Setting heading element sizes Adapting typography for vari... "
" This video contains: Introduction Installing the Flexbox starter theme Accessing the skin.css file within Chrome developer tools Skin.css mobile first overview "
" This video contains: Basic CSS menu styling Building the mobile menu Initializing the Flexbox container How to use flex-direction Building the tablet menu Menu item justifica... "
" This video contains: Creating the theme section markup Creating the stacked mobile view Reordering Flexbox items How to build a multi-row 2 column flexbox layout Flexbox respon... "
" This video contains: Introduction Installing the DNNC Basic theme Overview of Slinky JS markup Creating the slinky markup inside a DNN theme Adding the required Slinky JS CSS "
" This video contains: How to create a DNN slinky container Duplicating a current container Clearing up the container Creating the slinky section HTML markup Setting slinky conta... "
" This video contains: Improving theme readability and spacing How to reset the plugin after a live CSS change How to create the alternating heading colors "
" Let's talk about the basic requirements necessary as the foundation to DNN theming as well as "good-to-know" technologies that will have you further advance. " 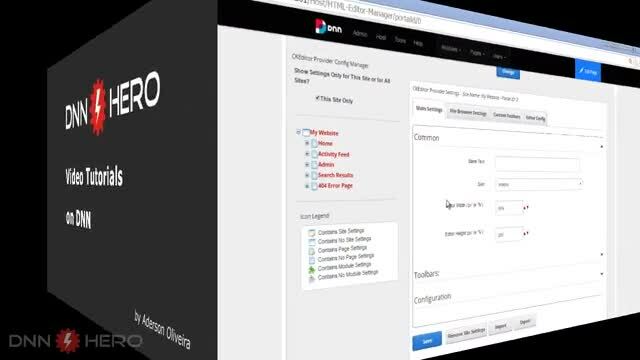 " Let's get our hands dirty and start working on a basic new DNN theme. This is part 1 of 3. " 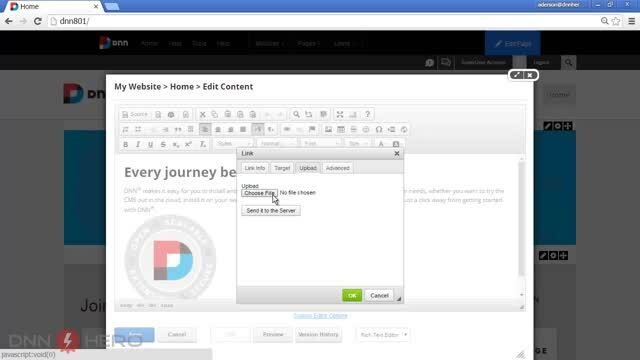 " Let's get our hands dirty and start working on a basic new DNN theme. This is part 2 of 3. " 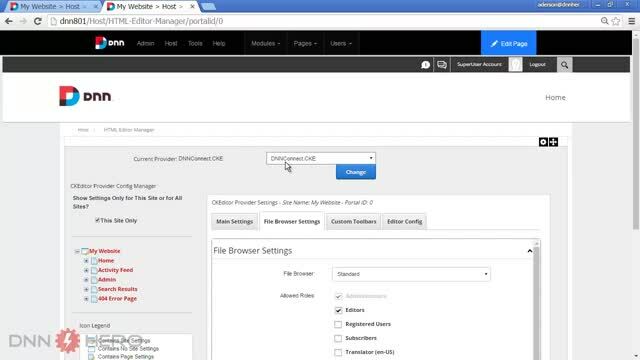 " Let's get our hands dirty and start working on a basic new DNN theme. This is part 13 of 3. " 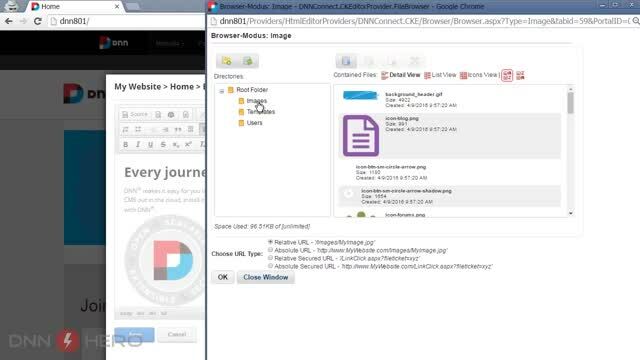 " Let's talk about one of the DNN skin objects called Breadcrumbs. This is part 1 of 7. " " Let's talk about another DNN skin object called Copyright. This is part 2 of 7. " 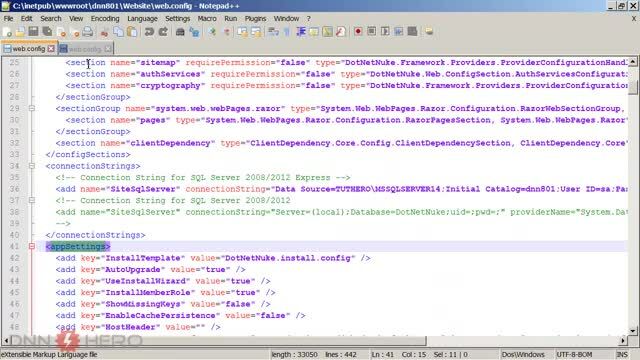 " Let's talk about another DNN skin object that will display the current date. This is part 3 of 7. " 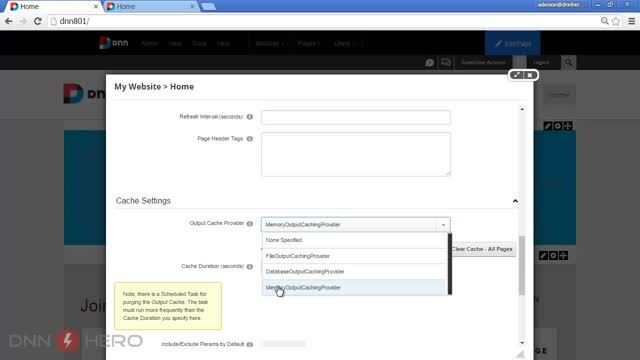 " Let's talk about one of the DNN skin objects called Hostname. This is part 4 of 7. " " Let's talk about the DNN skin object that places the site's logo on the page. This is part 5 of 7. " " Let's talk about another DNN skin object called Privacy. This is part 6 of 7. " 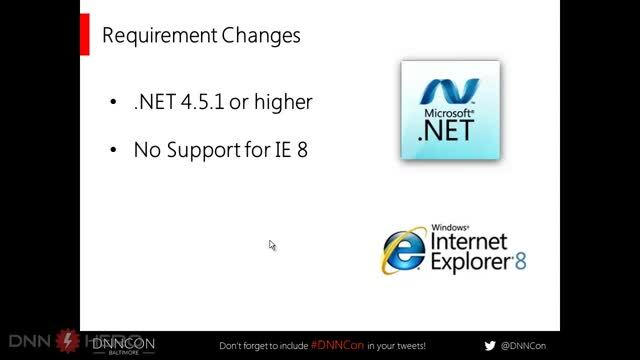 " Let's talk about another DNN skin object called Terms. This is part 7 of 7. " " This video contains: Introduction, Setting up the Theme and Markup Installing and setting up the basic theme CSS Grid browser support Theme file contents Creating the basic HTM... "
" This video contains: How to determine grid lines and gutters Creating a basic columns template How to determine row lines Creating a basic rows template Introduction to gutters... "
" This video contains: How to set section column start and end lines How to set section row start and end lines Pushing the footer to the bottom of the page Other CSS Grid features... "
" This video contains: Introduction Theme plan How to "responsify" the CSS Grid theme Adding CSS media queries Applying the CSS grid to only tablets and above Importing the typ... "
" This video contains: Setting up the flexbox responsive menu from the flexbox theme Adjusting theme background colours How to add an extra gutter to the CSS grid Responsive gutter... "
" This video contains: How to add the DNN login skin object Link styling How to create an auto hiding slider section Adding the DNN content panes Auto hiding empty sections with CSS Grid "
" This video contains: Introduction Locating your theme folder and files How to implement CSS code from GitHub Removing the CSS source map How to include the Ionicons icon font ... "
" This video contains: How to set button labels How to choose and set the item icons Creating menu items Setting up FAB button hyperlinks "
" This video contains: How to style individual menu buttons independently Adding individual item classes How to target each item with a CSS selector How to include the FAB button j... "
" This video contains: Introduction How to sign up to Drift.com chat Initial chat widget customisation Initial default message customisation How to connect to your DNN theme file... "
" This video contains: Walkthrough of the chat widget settings How to take the widget online and offline Scheduled online and offline Team availability How to set the offline mes... "
" This video contains: Introduction to web accessibility The three main accessibility techniques Basic image accessibility Link accessibility Images inside links "
" This video contains: Introduction to HTML5 accessibility MAIN and NAV elements Introduction to the WAI-ARIA landmark roles Screen reader landmark testing How to implement the M... "
" This video contains: How to implement the complementary landmark How to implement the contentinfo and search landmarks Introduction to colour contrast accessibility How to test y... "
" This video contains: Introduction Page structure Applying the starter theme Overview of theme files Menu system markup Overview of skin.css file How to make the menu items ... "
" This video contains: Main menu styling When mobile first styling is not a good idea Creating a mobile only media query Making the main menu full screen Z-index ordering How t... "
" This video contains: Styling the sub menu Centering elements using absolute positioning and translateX Setting up the transform rotate animation Styling and placing the sub menu ... "
" This video contains: Hiding the various elements in tablet view How to style the main menu for desktop How to style the sub menu for desktop Floating the sub menu items right S... "
" This video contains: Introduction Requirements Setting up a local DNN installation Downloading and unpackaging the nvQuickTheme How to install Nodejs Installing Yarn How to... "
" This video contains: Exploring the nvQuickTheme structure How to create a new theme layout How to add new Bootstrap 4 markup Adding a jumbotron section Converting the jumbotron... "
" This video contains: Introduction to SASS How to change SASS variables How to change the main theme colours Integrating SASS sourcemaps into the Gulp workflow Adding a local fo... "
" This video contains: How to create the API pipeline Setting API public permissions How to install NPM with Node JS Introduction to the command line Setting up a basic zero conf... "
" This video contains: Introduction How to add Bootstrap 4 to your React project Introduction to React Components How to setup a new child component Render a child component with... "
" This video contains: Implementing the bootstrap 4 container and row for responsivity Reactifying the Bootstrap card component How to turn a DNN relative URL into an absolute URL in... "